On the 20th of April 2014, 26 talented musicians gathered at the iconic Raffles Hotel Jubilee Hall to help raise funds and awareness for the Pistorio Foundation Scholarship Program in Chiang Rai, Thailand. re:mix captivated the audience of over 200 guests with Mozart, Piazzolla, Tang and their own compositions. The event hosted by CNBC’s Deirdre Wang Morris was a great success and raised over 30,000 SGD. re: mix led by Foo Say Ming is a new musical force in the classical music scene in Singapore. 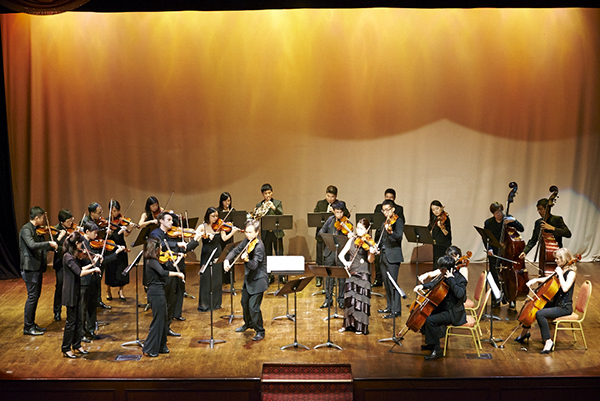 The ensemble comprises of Singapore’s finest local and international chamber musicians and is famous for creating new variations of Western classical music. re:mix sells out concerts at the Esplanade but also dedicates its talent to supporting the less privileged. One of the highlights of the evening was the pre-concert fair. 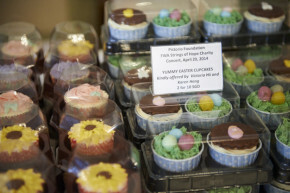 Guests had an opportunity to support the foundation by purchasing beautiful pieces of jewelry, clothing and homeware by Autium, Mieko Pottery, Rosso Prezioso, Style Tribute and The Candy Society. While parents enjoyed tasting wine and a bit of shopping, the youngest guests were entertained in the children’s corner with a plethora of art activities. 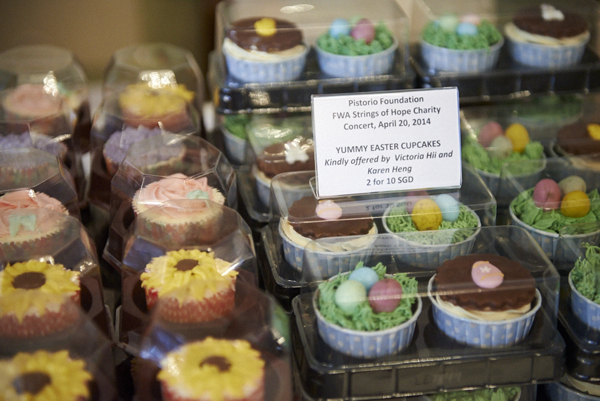 The evening was made extra sweet by the donation of beautifully decorated cupcakes created by Victoria Hii and Karen Heng, ice cream vouchers by Alfero Gelato and Easter chocolates by The Cocoa Trees. Once again, collaboration between FWA and Pistorio Foundation resulted in a magical and unforgettable evening. Special thanks to Chin Loo Low, the President of FWA and her colleagues for the constant support. The event wouldn’t have been a success without the participation of our sponsors: ACT Empowerment Coaching, Autium, Autoctonous Wines, Eric Yip Photography, Harpers Bazaar and Harpers Bazaar Junior, ING, Mieko Pottery, Oake Media, Rosso Prezioso, Style Tribute, System Sovereign Design, The Candy Society, The Cocoa Trees and UBP. Thanks again to our Event Partner – Financial Women’s Association, sponsors, guests and supporters, the spectacular ensemble, and to the countless volunteers who run our Singapore Chapter!